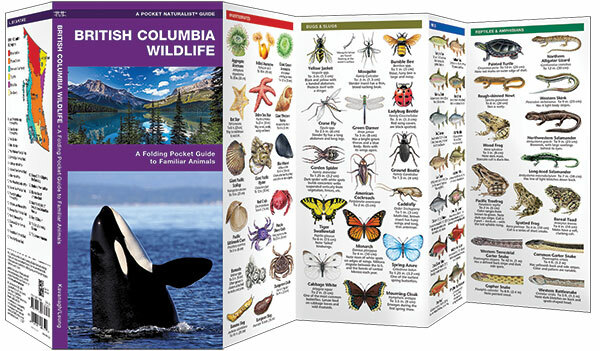 Boasting a rich diversity of species and habitats, British Columbia is home to 1138 species of vertebrates, including 536 bird species, 142 mammals, 18 reptile and 22 amphibian species. 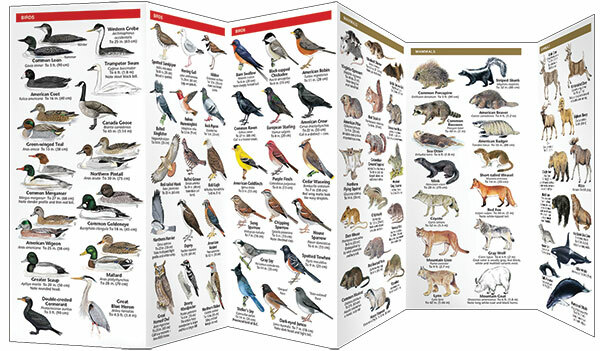 This beautifully illustrated guide highlights over 140 familiar and unique species of mammals, birds, reptiles, amphibians, fishes, seashore creatures and butterflies/insects. Also includes an ecoregion map featuring prominent wildlife-viewing areas. Laminated for durability, this lightweight, pocket-sized folding guide is an excellent source of portable information and ideal for field use by visitors and residents alike.